PLEASE ACCEPT THIS AS OUR PERSONAL INVITATION TO JOIN IN THIS COMMUNAL SIMCHA & JOYOUS OCCASION! call our office at 808-735-8161. 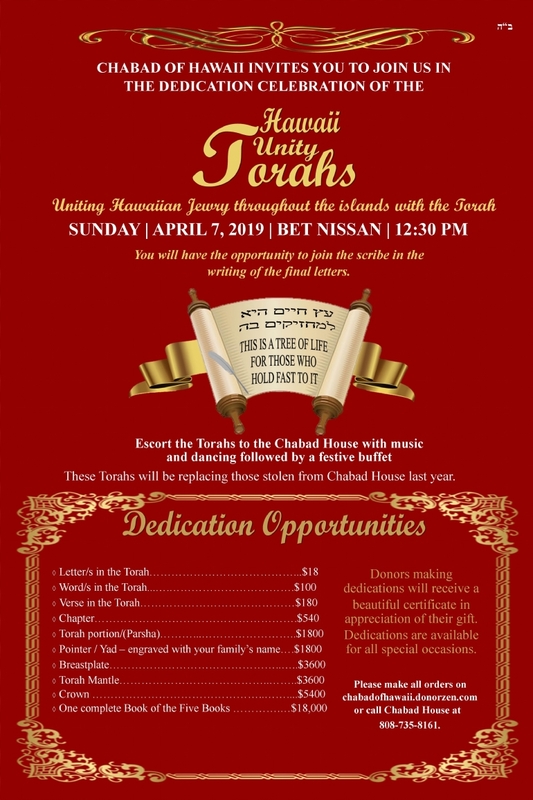 We look forward to singing and dancing with the Torahs - and with you! Join the celebrations wherever you are on the neighbor islands for a true Hawaii Unity Torah!